Barranquilla Carnival is the second biggest street carnival in the world, drawing in 1.5 million people to the city. 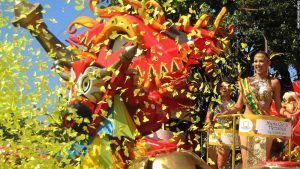 Only the Rio Carnival in Brazil can boast a bigger audience, and when you consider other famous global carnivals, such as Notting Hill-London, Mardi Gras-New Orleans, and Cologne-Germany, that’s quite an impressive feat. 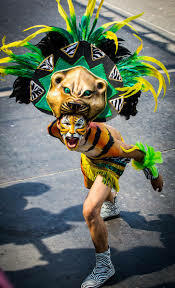 Barranquilla Carnival is little known outside of South America, and while that may do its worldwide reputation a great disservice. It in fact creates an amazing, diverse, and authentic experience, that has not become a fully tainted tourist trap. Every year, Barranquilla Carnival begins on the Saturday before Ash Wednesday. Ash Wednesday is always 46 days before Easter, and Easter itself is a movable feast. 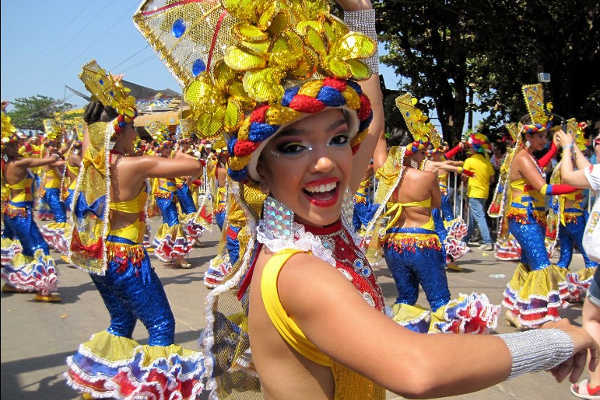 This means Barranquilla Carnival has taken place across the months of February and March. 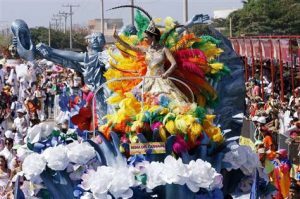 2017 Barranquilla Carnival – – Saturday the 25th to Tuesday the 28th of February. 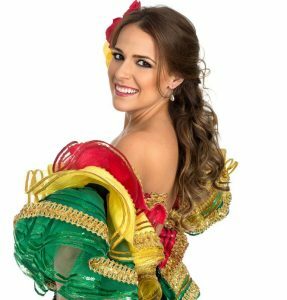 In 2003 UNESCO declared Barranquilla Carnival a Proclamation of Masterpieces of the Oral and Intangible Heritage of Humanity. Quite a title, and in a nutshell it represents ‘living culture’ and UNESCO’s mission to protect intangible culture. 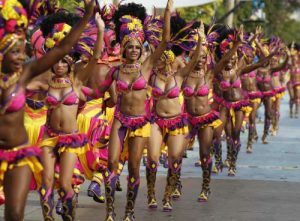 In this case, the language, music, dance, traditions and rituals of the Carnival, the 25,000 performers, and the diverse range of musical expressions and ethnic groups represented. the most important event of the carnival, as all participants flow through the city on a 5-to-6-hour float parade. Stephanie Mendoza Vargas. Barranquilla Queen 2017. The Carnival Queen leads the parade, and this year’s queen is Stephanie Mendoza Vargas. A 22-year-old Law Student and Barranquilla native. She will be accompanied by ‘King Momo’ a character associated with the king of carnivals. This year played by Germán Álvarez Cabrera, a 54 year old chosen for his Cumbia music skills. An Afro-Caribbean, dance orientated, traditional music, of the Colombian and Panama Atlantic coasts. ng years Battle of Flowers, like a promotion to the higher league. On the Monday of Barranquilla carnival, an orchestral festival takes place. With Latin and Afro Caribbean bands performing well into the following day. A fantasy parade, focusing on the performers costumes also occurs this day. Barranquilla carnival, the Tuesday, has a symbolic burial of Joselito Carnaval. Joselito represents the joy of the carnival, and his demise and burial is mourned by all the carnival goers as things come to an end. The mood is lightened with a comedy festival on the Tuesday evening. As a visitor you will probably be looking to purchase a ticket for one of the many ‘Palcos’ along the routes. The Spanish word ‘Palco’ basically means a Loge or private box in English, and in the carnival sense relates to the private enclosures used to view the carnival parades. The cost of a ticket varies depending on the location of the Palco, and from where you purchase the ticket. There are many touts and outlets who add on service charges along the way. But it should be relatively easy to source tickets. Expect to pay around 200,000 pesos for a three day ticket, with free beer on day one. You can also expect to be sprayed with foam and flour throughout the course of celebrations. As people from all walks of life come together for the carnival, making it unique in Colombia at breaking down social, racial, and economic barriers. If you are really keen to get involved earlier, the weeks leading up to the main parades also include various events and parties. 12-Febuary Dance and Cumbias Party, Peace Square • 10:00 a.m.
19-February Parade of the Children’s Carnival, Carrera 53 with Calle 70 • 11 a.m.
Calle 38 and Carrera 30. 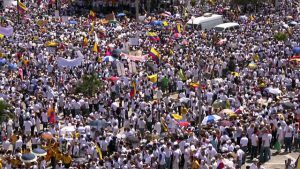 Next Post: Generosity of the Colombian People? Hi there,I log on to your new stuff named “Barranquilla Carnival 2017” daily.Your story-telling style is witty, keep it up! And you can look our website about تحميل مهرجانات شعبى 2017.